Now the the snow has fallen in Metro Detroit, it's time for some to put away the cars that you actually enjoy and bring out the vehicles of which you have feelings of borderline hatred or ambivalence. But wait, winter beaters can be fun. There is something to be said for having a car that you can hoon the hell out of because deep down you know will die of salt poisoning, if nothing else happens to it first. It's like that "Live Like You Were Dyin'" song that recommends that you ride bulls and jump out of airplanes when you know your number is up. 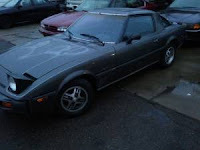 We will cap this list at $1,500 which is a little higher than the normal beater budget, but let's assume you need this car to last more than 2 winters. 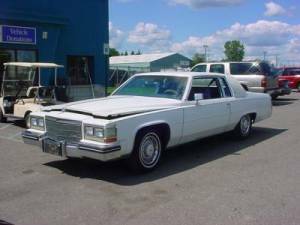 There is a craigslist ad linked to each car, so go find yours. Who says that you need power and a balanced chassis to enjoy the winter time? Remember, the limits of adhesion are much lower so you can drift your 19 foot recliner around the block in complete comfort. I would be tempted to put some air shocks in the back and pump those suckers up. 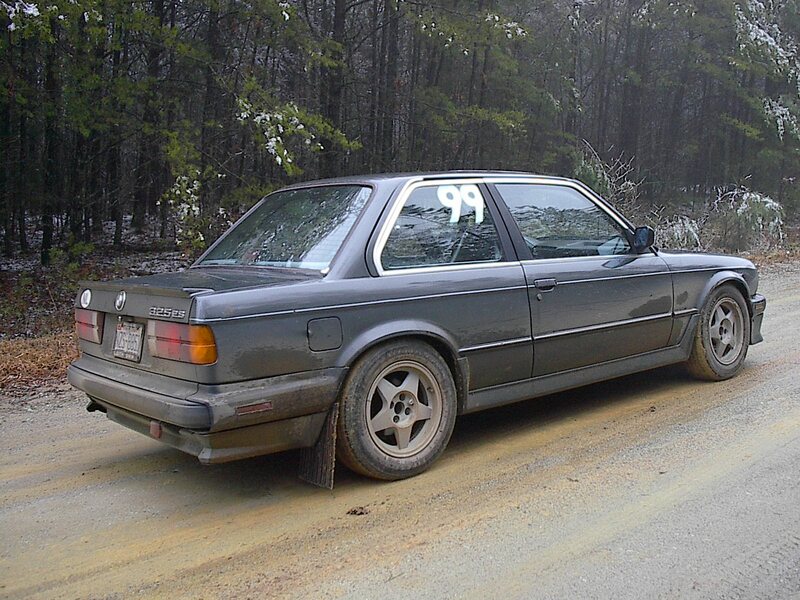 Throw some 8-ply mud tires on it and start shooting rooster tails. The AMC Eagle is a no-brainer for any winter beater shopping list. Nearly impermeable to rust, easy to fix, and Selec-Trac 4WD. It's like a Fairmont dropped on a Ranger chassis but much classier. Old V8 powered SCCA Pro Rally Eagle SX/4s could provide inspiration for winter modifications like snow tires, a small lift, and a huge rack of square Hellas. This ad says that the car is good for the right person and that right person could be you. It's the generic Japanese cocktail of all European and American sport sedans from the mid-late 80's, blended until mildly boring. But looking at the stats, it's not that bad; rear wheel drive, twin-cam straight six, and available manual transmission in the older models. Plus, the interiors took many cues from American cars and are typically dripping with velour or tufted leather, making them extremely comfortable cars. 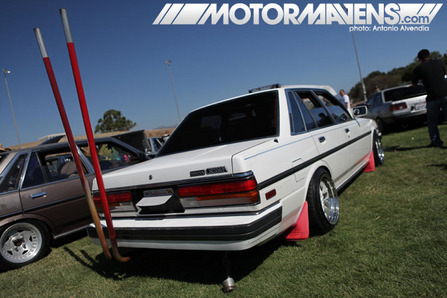 And with the snow on the ground, you won't need lateral support while dorifto-san-ing your Bosozuko style Cressida across eight lanes of traffic. Snow is a gift to malaise-era 'muscle cars', allowing for burnouts that were once impossible in the dry. A 160hp 305 Nova in the snow can immediately go door-to-door with a Yenko of yore. 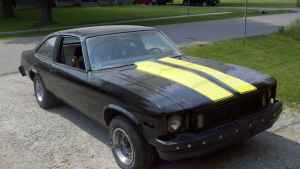 This particular car could use a flat blacking, loud pipes, and mud tires. 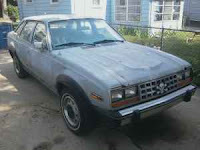 Unless you are this guy, an El Camino could be a delightful beater in the winter. 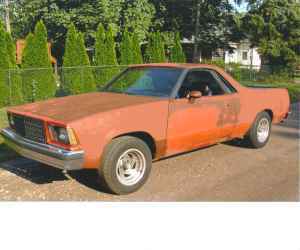 With vehicle dynamics that can be changed by shoveling unwanted snow in or out of the back, the El Camino offers driving fun and utility in the winter months. The Mazda RX-7 potentially ranks highest on list in terms of driving entertainment but also presents the highest risk of leaving you stranded, either by breakage of the 12A/13B or by being stopped by it's low ground clearance. Picture this as your daily driver and none of that may matter to you. Provided that it's oil-fueled engine fires aren't keeping you warm over the winter, the Fiero offers extreme winter driver potential. 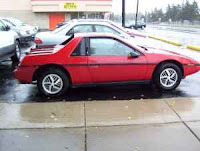 With 56% rear weight distribution and some good tires, the Fiero could be unstoppable. Plastic panels will resist damage of you bounce between light poles, fences, and other vehicles...if they don't shatter, anyway. As I once read on a blog somewhere, the automatic E30 is fair game for any kind of automotive punishment, guilt free. I think that still holds true for the next few years as slushbox threes are still readily available for next to nothing. The E30 is my winter beater of choice. My 318is, though a 5-speed, is nowhere near nice or rust free enough to feel bad about driving it in the winter. 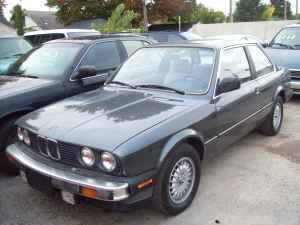 If you do find a beater quality E30 for cheap, you will most likely continue to drive it into the summer, fall, and winter again for several years. Nice list, I like how you avoided FWD and kept it strictly cars. 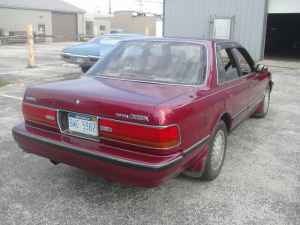 Although El Camino's and Nova's are great, I'd substitute Diplomat and Crown Vic. That's my e30 in the top picture. Matt and I worked at Saturn of Raleigh which occasionally had promotions involving a car for sale for $99. My racing number was chosen for Greg Moore and Wayne Gretzky but I had to field some questions from Saturn customers asking if my car was the $99 car...the nerve of some people!